On May 3 at approximately 3:30 p.m., Calcasieu Parish Sheriff’s Office deputies were dispatched to a home on Mack Road in Vinton regarding a burglary. Upon arrival, deputies spoke with the victim who advised that he returned home and discovered his security cameras had been smashed and he was missing a PlayStation 4, along with several games from inside his residence. During the investigation, detectives were able to retrieve video footage from the smashed cameras which identified the suspect responsible as Joshua J. Richard, 2119 Mack Road, Vinton, who was a neighbor of the victim. A short time later detectives made contact with Richard at his home, and were able to positively identify him as the suspect seen in the surveillance video. Richard attempted to resist detectives, but was detained and arrested at which time detectives located drug paraphernalia on his person. When speaking with detectives he admitted to breaking into the home and stealing the PlayStation 4 and games. The stolen items were later located at Richard’s home and returned to the victim. 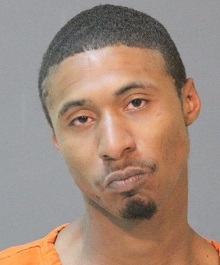 Richard was arrested and booked into the Calcasieu Correctional Center and charged with simple burglary; theft under $1,000; illegal possession of stolen property; resisting arrest with force; criminal property damage; and possession of drug paraphernalia. Judge Guy Bradberry set his bond at $11,500.